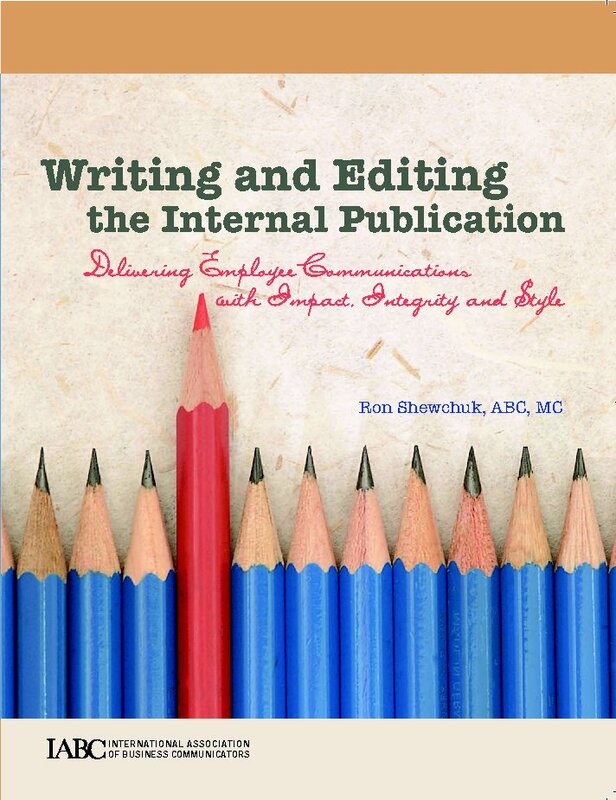 For the next few weeks I'm going to provide you with short excerpts from my new handbook, Writing and Editing the Internal Publication. I'll do this once a week, and I'll also continue to write new posts. Editors and writers of employee publications are usually younger communicators who are at the beginning of their careers, and they are often ill equipped to deal with the Kafkaesque bureaucracy, creepy internal politics and stifling controls of the organization they’re hired to serve. The editor’s position is viewed by many as a burnout job—akin to social work or bomb disposal. People rarely stay in it for more than three or four years, and they’re usually relieved and excited to be leaving employee communication to enter the big, glamorous world of public relations or marketing or whatever. But not everyone burns out and leaves. In my travels I’ve met a few people who have managed to stay in the editor’s saddle for their entire career. One charming gentleman I know has been a corporate editor with the same company for over 20 years and he still enjoys coming to work every morning. His colleagues and bosses have come to rely on him as the institutional memory of the company. If you stick with it, working as a writer or editor of an employee publication can be an enormously satisfying job. You get to be in the heat of the action, living behind the façade that your organization builds for the outside world. You’re exposed to everything that’s right and wrong about your workplace, all of the time. The warts are showing, and you, more than anyone, know where they are. Because you live in the real world, there is more of a chance you will be able to make positive change happen. Every day you have to deal with the absurd reality of your organization, which typically is like a giant Rube Goldberg device that squeaks and whirs and does a whole lot of strange and useless things, and in the end, survives. As an employee communicator you are a sort of Rube Goldberg device repairman. The things you do can actually make the machine run more smoothly, or go in a straighter line, or at least throw off a few less sparks. You can make a difference. By constantly communicating what is really going on in your company, and where its leaders want it to go, you can help everyone get there a little faster, with a little less pain. The job of employee writer and editor is never boring. Irritating, yes. Frustrating, guaranteed. Exhausting, no question. But putting together an employee publication is always an interesting challenge, and if you are patient, the rewards are there.